R. Deso ready-mixed concrete is manufactured under computer-controlled batch plant systems. It is transported to the job site and delivered using sophisticated equipment and methods. Why Choose R. Deso, Inc.? 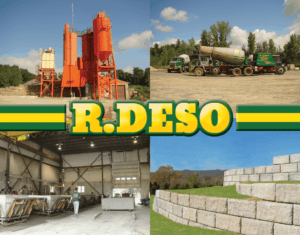 R. Deso, Inc. is a trusted family-owned and operated business that has been actively providing the region's commercial, farming and residential ready-mixed and pre-cast concrete needs for more than half a century. We are dedicated to -- and take pride in -- providing friendly, prompt service, and the highest-quality concrete products in the industry -- all at affordable prices. We offer our products and services for large and small projects -- with close attention to detail and safety. For the convenience of our valued client/customers, we offer both front and rear discharge mixers to satisfy any project requirement. Our drivers have many years of experience in all job conditions and situations. Our skills and knowledge give you the peace-of-mind and confidence you need as a project manager. 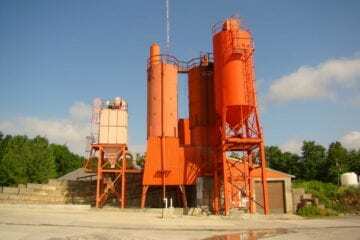 R. Deso, Inc. provides the highest quality concrete products and services, while maintaining an unparalleled customer satisfaction level. Our management and staff are attentive to the quality of workmanship and to the successful completion of every project. We will continue to surpass the competition in all markets relating to ready-mixed and pre-cast concrete products. Our ability to provide the best in construction materials, sound engineering advice, and total support means you can expect the highest standards. This commitment makes us your best choice for jobs large and small. Please continue to browse our Web site to find about more about our history, about the products we offer, and about how we may be able to serve you better. Our service territory includes all of Clinton County, NY, the Champlain Islands of Vermont, and south to Keeseville, NY and beyond. 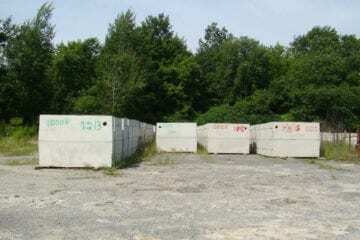 Please get in touch with us for all of your ready-mixed and pre-cast concrete requirements. We stand ready to serve all of your needs, and to make your project a complete success.